Lavinia Priest constructed the plaza atop Sacred Mountain, the spiritual center of the Children of the New Revelation. Lavinia’s ghost controls Emily Fisher, her descendant, who is trying to uncover who has set the Children at odds with each other. And now Lavinia comes to Emily’s defense against the enemies who have seized and drugged her. Or is Emily coming to Lavinia’s defense against those who would oppose Lavinia’s designs? If anyone knows for sure, it’s not Emily! Nevertheless, she is pressed into service in “The Battle of Sacred Mountain,” chapter 32 of Prophecies and Penalties, my weekly serial about a murder investigation at a religious commune in Vermont. If you’re not already reading this story, you can start with chapter 1. Any chance of one of your brilliantly succinct overviews of the Battle of White Mountain? I know it was a battle in the Thirty Years War, but I have to admit to this not being my main thrust in history. The religious dispute between Protestants and Catholics had pitted the Protestant nobles of the Kingdom of Bohemia, who in theory had the right of electing their sovereign, against the militantly Catholic Habsburgs. When Matthais, who was also Holy Roman Emperor, nominated his brother Ferdinand, who was an ultra-Catholic, to succeed him, the nobles of Bohemia rebelled, tossed the Habsburg emissaries out the window (the famous Defenestration of Prague, 1618), and elected the Protestant Elector of the Palatinate as their king. 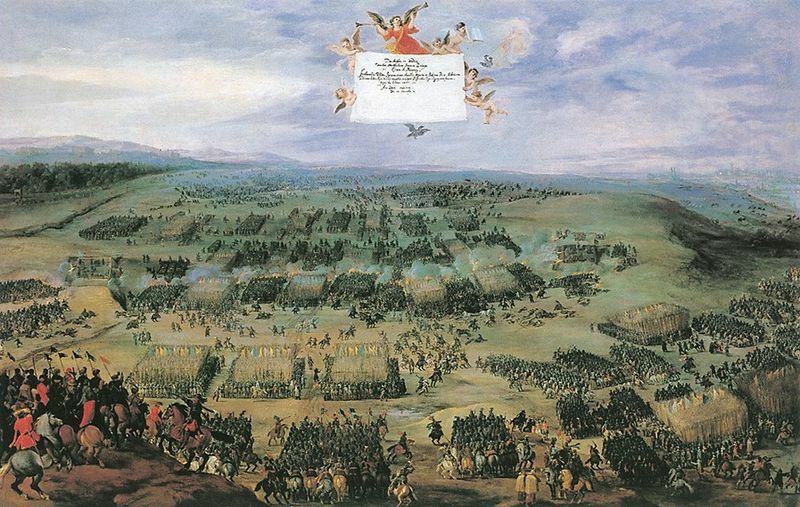 The Habsburgs and the Empire refused to recognize this election, the Protestants inside and outside of Bohemia were divided, and the Habsburgs finally caught the Protestant Bohemian Army on White Mountain, just outside of Prague, on November 8, 1620. The Catholics caught the Protestant army on the hill and destroyed it, with many Protestants fleeing the battlefield after their initial position crumbled. That doomed the Protestant cause in Bohemia. The whole affair is usually considered the opening shots in the Thirty Years’ War.